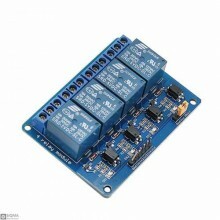 Features:1 Way 5V Relay Module is a relay board that can be controled with 5V via Aruino board.It dr.. 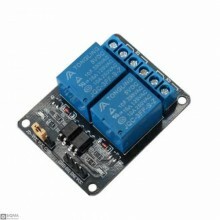 Features:the control signal voltage range : the trigger signal is low .the use of the industry's top.. Features:1. Size: 50.6mm (length) * 38.8mm (width) * 19.3mm (height) 2. Weight: 30g 3. 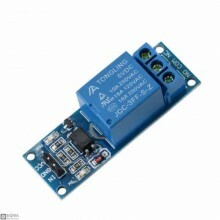 PCB.. 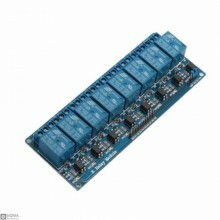 Features:Suitable platforms: such as Arduino/51/AVR/ARMModule size: 7cm*5.3cmSupply voltage: 5VDC&nb.. 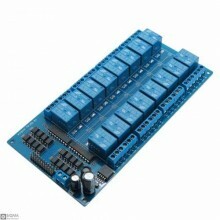 Features:Suitable platforms: such as Arduino/51/AVR/ARMModule size: 138 * 56 * 19.3Supply voltage: 5.. 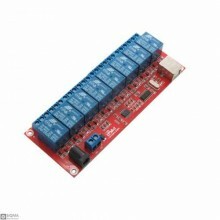 Description:This product can be controlled by usb virtual serial port. The upper computer sends the ..